I am far from religious. Never have been. Way too scientific to contemplate it. I have a “I don’t believe something until I can see it” mentality. Means I have a very limited understanding in electricity. Makes me very cynical about the future too. When it comes to Santa and all the magic that belief brings, I’m hardly going to burst anyone’s bubble. I love the excitement it brings and there is no harm in children believing in the magic. And I’m starting to think this for myself too. I don’t believe in Heaven or Angels – but there are some things that I’m happy to buy into now and not question it too much. After all, what is the harm in believing? The sky turned blue at the mention of it not being a ‘Leo Day’ the other day. His song, Stand By Me, came on the radio when my sister lit his candle. A robin sat with us at lunch – apparently, that’s how your loved ones come back to check on you. 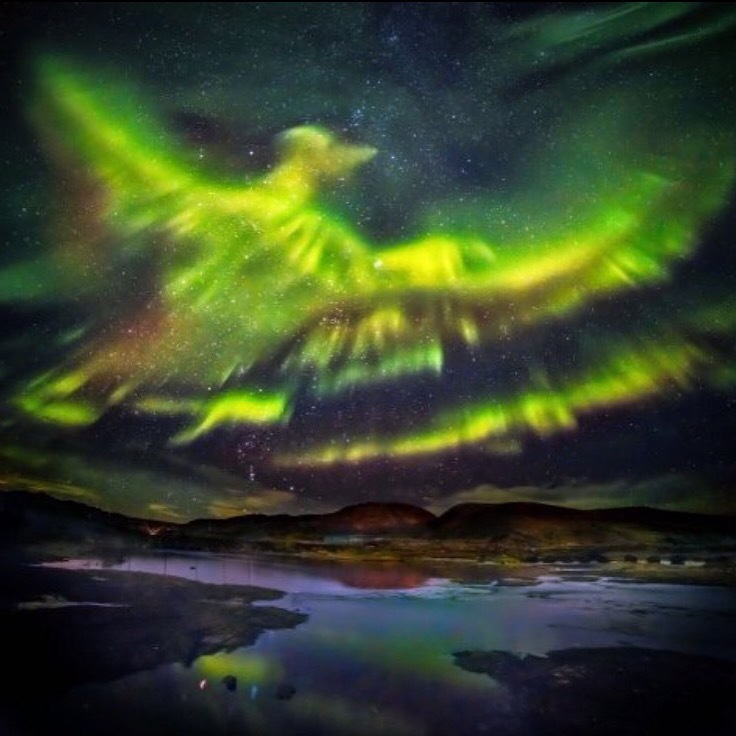 And then in the news, I see that a Phoenix has risen in the Northern Lights – lights that are the souls of stillborn as mythology tells us. Phoenix is Leo’s middle name, it was a potential up until he died, and just seemed so apt after he passed. In my poem to him at his graveside, I asked him to rise above like the Phoenix that you are and look after us. Belief. Whatever it is, is there to comfort and protect. I may not believe in God, in Angels, in Heaven, but I’ll believe in the little things that make me smile and warm my heart. At the moment, those moments are so precious and so rare.